Create these party picks with animal prints for a jungle or safari themed party. 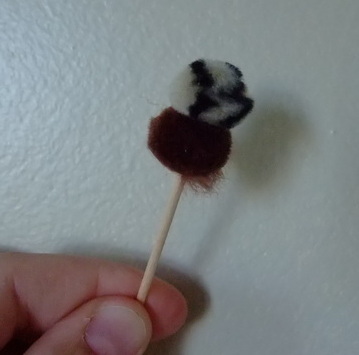 Push party pick through craft pom pom. 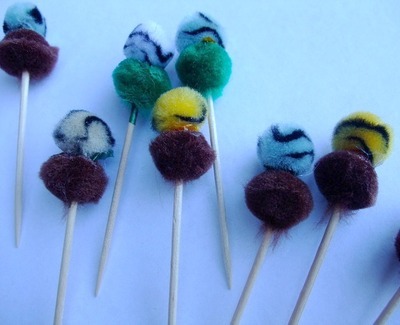 This is easier going if you can find pom poms with a hole in them. 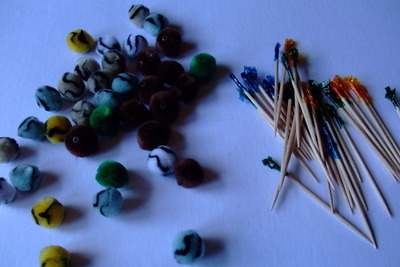 Add glue to top of it and glue on animal print pom pom. 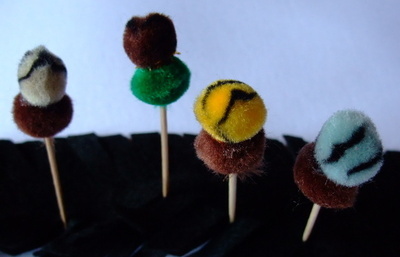 Decorate party food with jungle picks.